2019 Diamond VIP 2800 Shuttle Bus with Rear Lift - 18C206 - A-Z Bus Sales Inc. Experience the smooth, quiet ride of a Diamond! This VIP 2800 sets the bar high when it comes to noise reduction. Its Award Winning Vacuum-Cured composite coach body – which includes composite wheel wells, composite skins for rear and wheelchair doors – provide for a quiet, comfortable ride that will not corrode or rust. This VIP 2800 has versatile seating and can accommodate 18+2 or 8+4 passengers! The VIP 2800 is an ideal solution for an activity, tour, assisted living or para-transit bus. 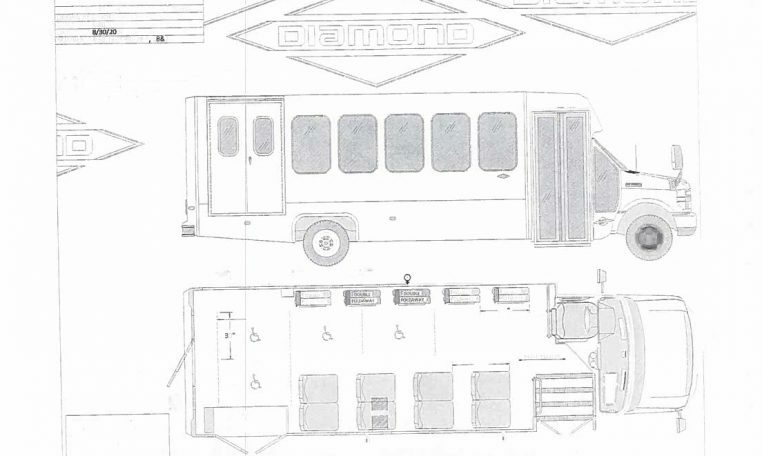 For financing options, information, or to purchase this Diamond shuttle bus, contact A-Z Bus Sales. Browse through the selection of buses that have recently been added to our inventory.